Do you want to be happier? 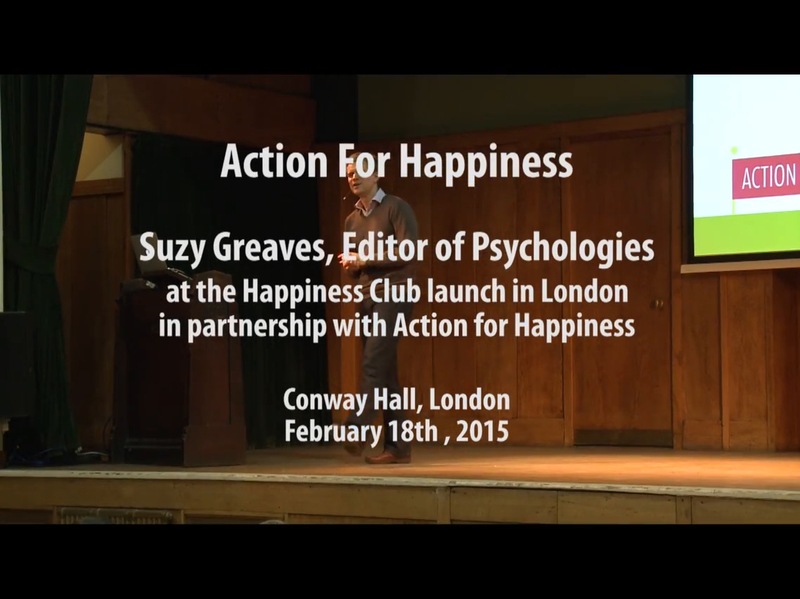 Join the one year happiness experiment with Psychologies magazine. Create your own Happiness Club with your friends in your own homes and put happiness - yours and other people's - at the heart of your life philosophy. How? By committing to building happiness habits into your life - and discussing them monthly with your friends. Suzy, Thanks for sharing your traumatic experiences at the tender age of 17 and your journey of resilience to finding and spreading happiness. And thanks to Psychologies magazine and Action for Happiness for this innovative initiative of starting happiness clubs across the country. Just brilliant!